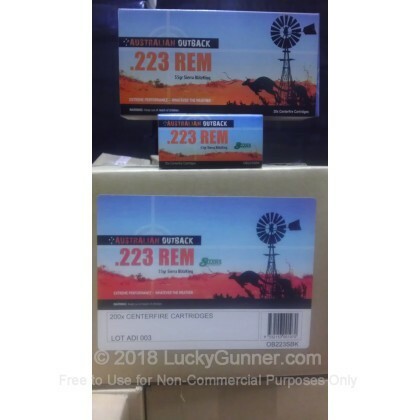 New ammo straight from the Australian Outback! 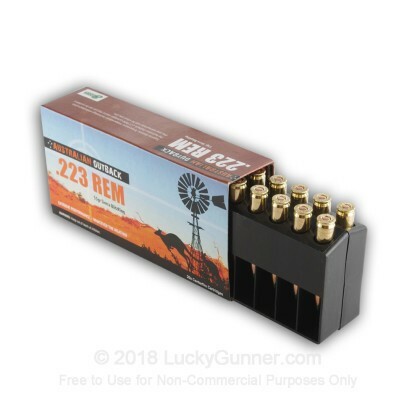 These 223 caliber cartridges are crafted with Sierra's BlitzKing polymer tip projectiles which are exceptionally accurate to hit small targets. These bullets are lightweight to provide explosive expansion and high velocities while maintaining flat trajectories. 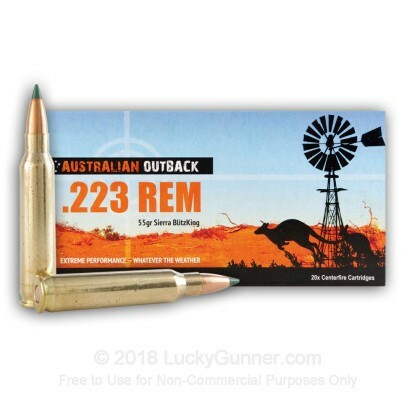 Australian Outback's 223 Remington rounds feature Ballistic Temperature Independence which ensures consistant velocities across an extreme temperature range allowing you to place your shot on your target regardless of weather conditions. 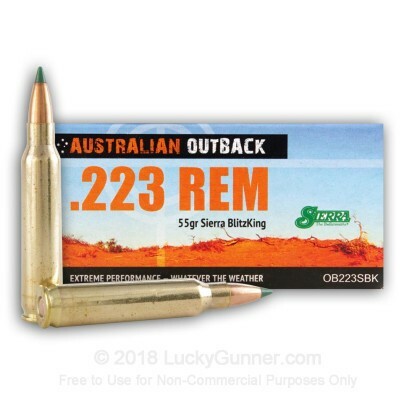 Australian Outback ammo is manufactured in the heart of Australia and is developed to perform in extreme Australian hunting conditions. They provide shooters with top quality cartridges that exceeds expectations shot after shot. This round is perfect for varmint or small game hunting. Each round is brass-cased, boxer-primed, non-corrosive and reloadable. Easily the best .223 55gr for the money. Shot a few hundred so far without issue.